Creating proactive communication in the change process. Functional verification of the planned changes. 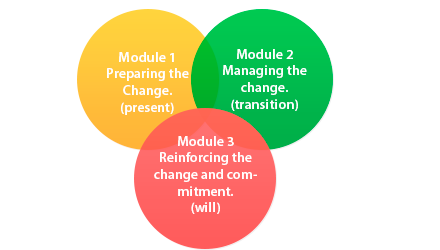 Development and implementation of indicators of change. Prejudice to the outcome: the members affected by the change tend to think that the consequences are always negative. Fear of more work: people are predisposed to think that the change will increase the workload and reduce opportunities. Need to change habits: requirement of changing habits that are already internalized. Communication failure: the members of the organization are not properly notified of the reasons for the change and the expectations that must be generated in accordance with it. Inability to align the organization as a whole: to coordinate all issues involving the change, such as organizational structure, systems, technologies, essential skills, knowledge, culture and competencies of its members. Revolt by employees: is a defense created by employees because there is a perception that change is an imposition and therefore take control of people. Source: Gonçalves (2003), citing Boyett (1999). Implementation of strategies and goals. Implementation of new business models. For strategic decisions and to become more competitive, some companies have been doing mergers, acquisitions, partnerships, changing the operation to other locations, among other decisions. These actions have been generating duplication of activities / areas or disinterest of employees to change their city, leading companies to perform shutdown professionals in volume. However, there are companies that seek to give maximum support to employees who are going to be dismissed, preparing dismissal benefit packages and offering to the employees forms to search for new jobs. 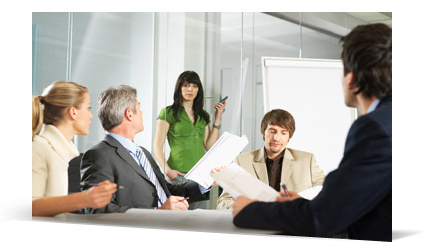 Help former employees to increase their chances of placement in the labor market. Minimize wear of the dismissal process and the negative organizational climate. Taking care of corporate image.